Preloved has been a favourite of mine for a long time, so I'm happy to share it with you today. When creating recycled clothing, Preloved pays amazing attention to fit and style - no looking like a 'raggamuffin' here. So, you can look great and still pay homage to the planet by diverting waste from our landfills. What's more, Preloved is Canadian! You can visit their Queen street store in Toronto, or their Blvd. St. Laurent store in Montreal, or of course, shop online! 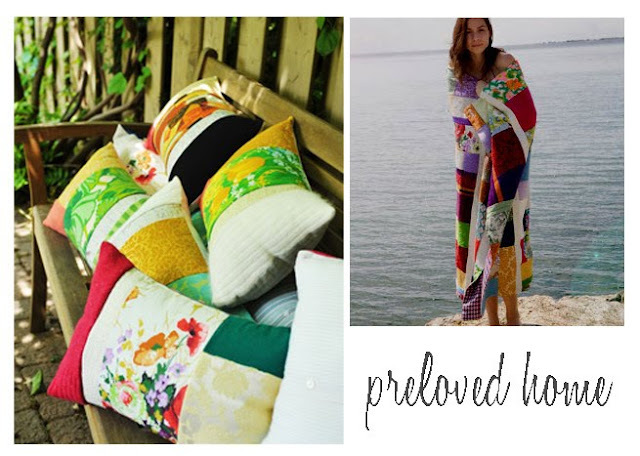 Preloved creates one of a kind clothing from reclaimed vintage fabrics. Our passion is design and our philosophy is sustainability. Attention to fit, comfort and style has been our driving force."